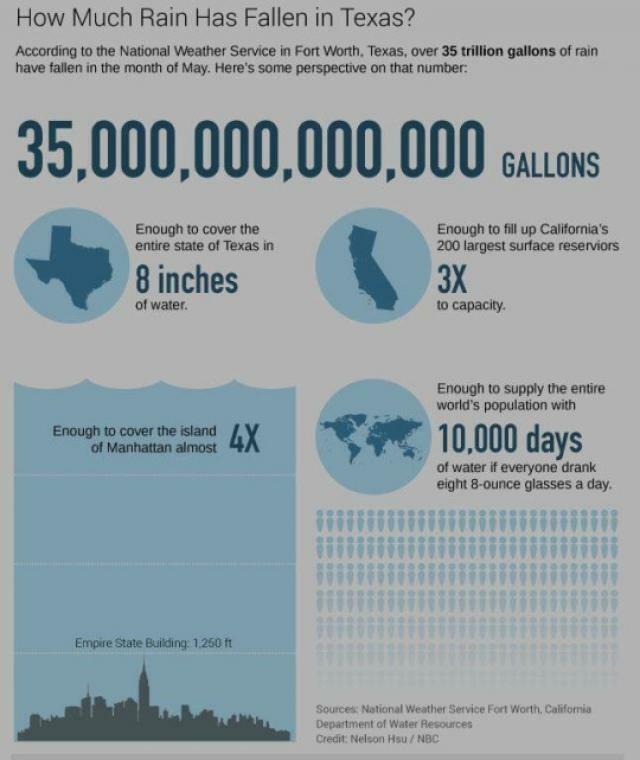 That’s trillions of gallons in one month. These are amazing stats. Meanwhile, there’s a drought in California. OK, let’s look at this from a purely economic standpoint. It’s common knowledge that some of the highest quality pot is grown in Kentucky. Let’s say the legislators in Frankfort decide one day that marijuana should be legal. Based on where it’s already legal, the price will drop significantly. Now look at the surrounding states. 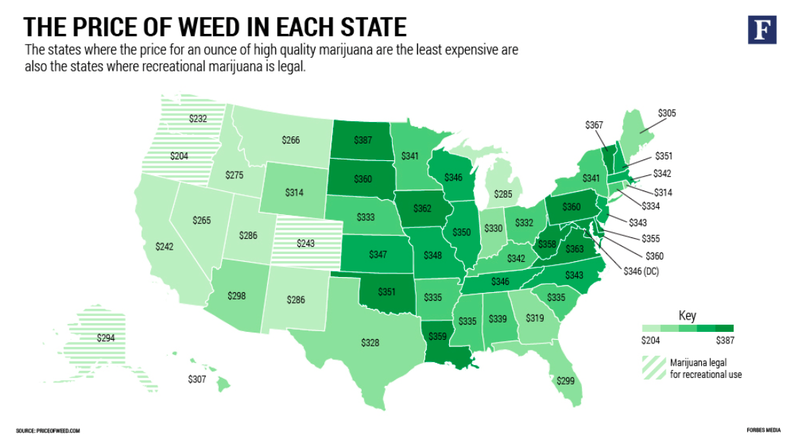 Do you see how much easy revenue can be generated as buyers crass state lines to take advantage of the weed next door? Kentucky is a poor state. The jobs it’s trying to keep are fading away fast. The coal industry is dying and the fact that Kentucky’s congressional delegation is still pushing it is a waste of time. Pot is all over the place. It’s renewable. And no matter what laws are passed, people are still going to spend billions of dollars to get stoned. And society is not going to collapse with legalization. Take advantage of the market. Use the tax revenue to rebuild infrastructure that will bring real jobs to the state. And set aside a reasonable percentage to pay for substance abuse programs. This isn’t wild speculation. It could actually work. 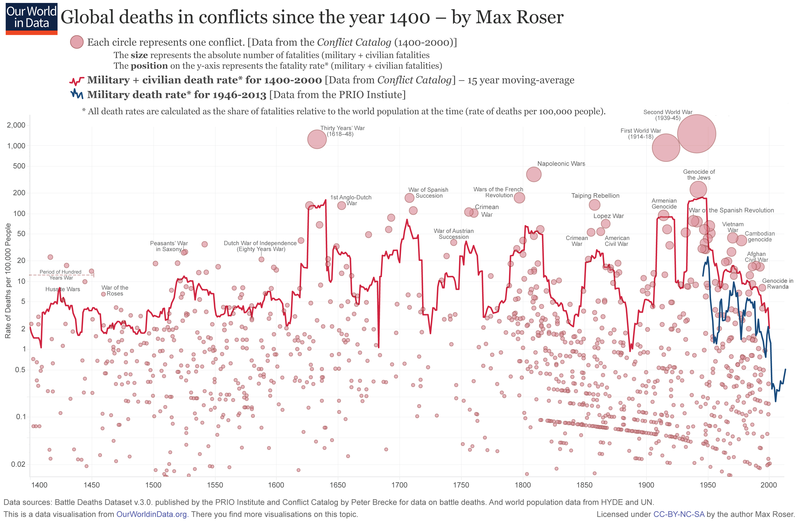 Amazingly, the rate of death is near the lowest point it’s been in history. Now, of course, the world population in 1400 was about the same as it is in the combined population of the United States and Canada (about 350 million). There are 7.23 billion people in the world now. But even with that. despite the more impersonal and highly more devastating weapons of mass destruction (nuclear weapons now, battle axes in the 1400s), somehow humanity as a whole is now resisting the urge to kill everybody in site. Don’t get me wrong. Humanity still is filled with homicidal tendencies, but we don’t act on them at the same rate as we used to. That’s got to be good for something, right? 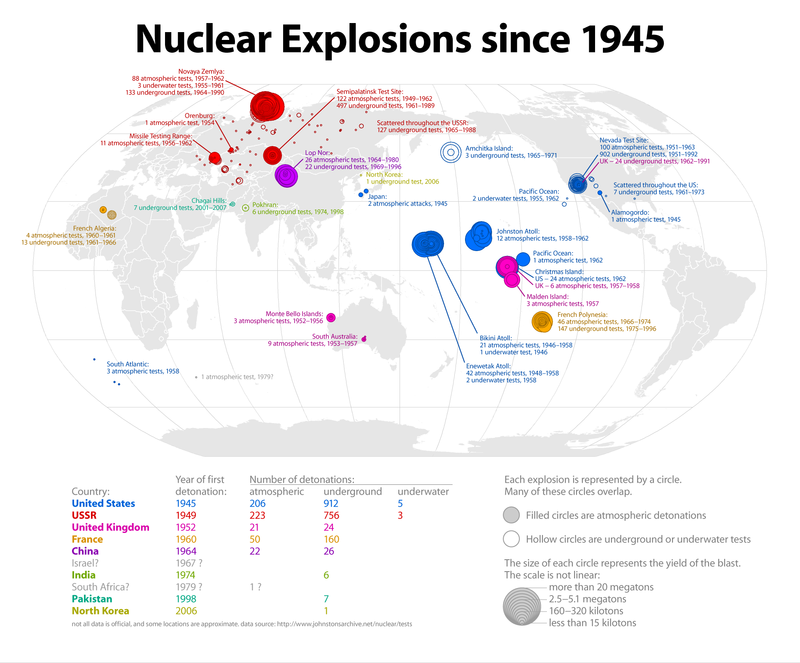 This chart is self explanatory, but does it bother anyone else that the Brits have nuked the American West a couple of dozen times (click to enlarge, via Know More)? 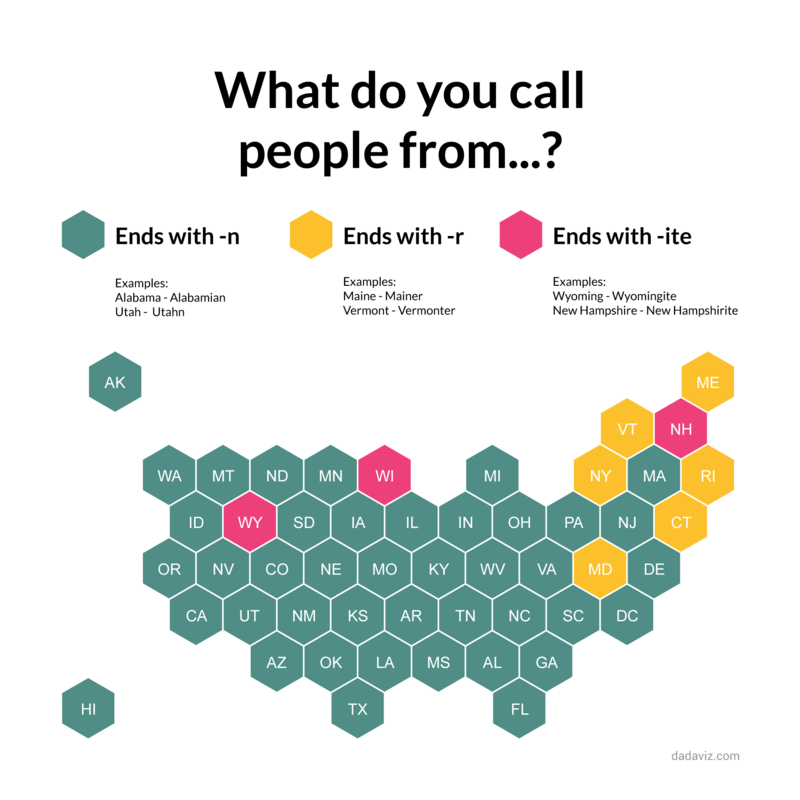 So what do you call people from Indiana? Dan Perkins, drawing as Tom Tomorrow, of Daily Kos for cartoons that create an alternate universe — an America frozen in time whose chorus of conventional wisdom is at odds with current reality. 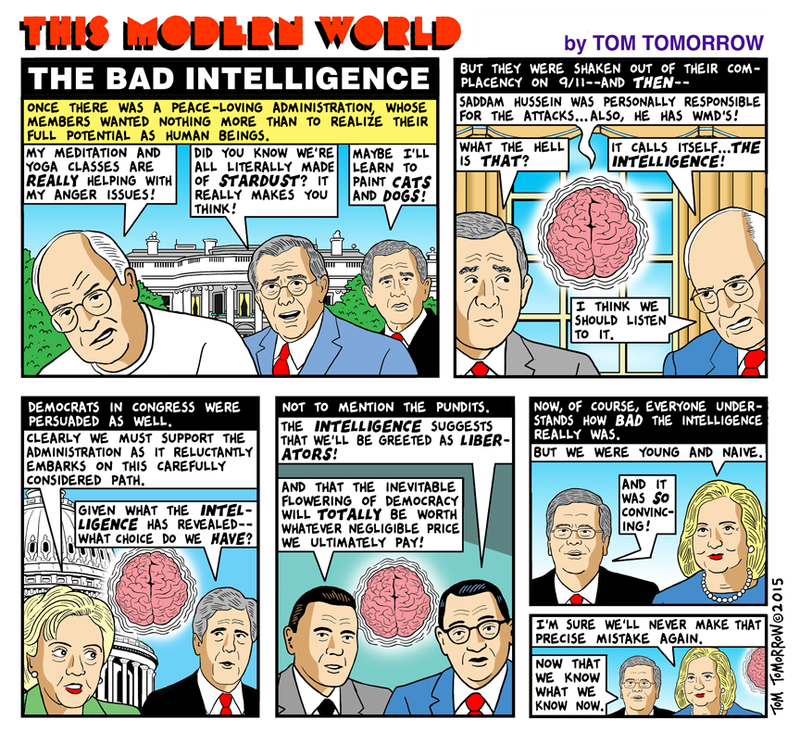 Tom Tomorrow is so much better than 99.9 percent of the editorial cartoonists out there today, and he really deserves to win the Pulitzer. But someone has to write him a better cover letter. Enclosed please find my entry for the 2015 Pulitzer Prize under the cartoon category. I have tried to include a representative sampling of the diverse approaches I use in my weekly efforts to inform and provoke readers through humor and satire. I am submitting this entry in my capacity as a cartoonist for Daily Kos, but please note that my work is syndicated to approximately 80 print newspapers across the country as well. For 25 years, I have tried to push the limits of what an editorial cartoon can be — in approach, in subject matter, in appearance. These efforts have earned professional recognition including the 2013 Herblock Prize for editorial cartooning and the RFK Journalism Award (on two occasions), and praise from sources ranging from the New York Review of Books to Entertainment Weekly to authors such as Dave Eggers and the late Kurt Vonnegut. Go to the Pulitzer site to check out the cover letters for the other entrants in the editorial cartoon category. You’ll see that their bosses really pushed their guy, and that seems to matter in the real world. The folks at Daily Kos need to up their game and make an effort to promote their guy for a prize he definitely deserves. Looks interesting, but what’s the Supergirl backstory? But does this mean we’ll eventually see the bottle city of Kandor?